Open enrollment for Affordable Care Act (ACA; aka Obamacare) coverage ended across the United States in mid-December, but the last few states ended their open enrollment period at the end of January. We wrote in November about the state of Open Enrollment, and discussed the impacts of confusion surrounding the healthcare law earlier this year. Now that the open enrollment period has ended, we’re able to look at the numbers of people who took advantage and those still left underserved. Even with enrollment period cut in half and other changes enacted by the Trump administration, nearly 11.8 million people signed up for healthcare on healthcare.gov or through their state’s marketplace. Experts say that had Open Enrollment period not been so much shorter and outreach funding not been cut 90%, an additional 1.1 million Americans would have enrolled. Returning ACA enrollees marginally increased since last year, however new enrollment fell 29% with the Trump administration’s cuts. Of the ten states that extended their enrollment periods beyond the shortened 45-day period, seven of them surpassed the enrollment from the previous year. There are still 39 million uninsured Americans. The uninsured rate rose for the first time since 2014, and by the largest single-year increase since 2008. In 2016 just over 9% of Americans were uninsured; now over 12% are without health insurance—an increase of over 3 million Americans. Consumers who missed the open enrollment period can still enroll in an Obamacare plan if they have a qualifying life event such as losing insurance coverage (must have at least minimum essential coverage; cannot be a short-term or low-benefit “Trumpcare” plans with high out-of-pocket costs), becoming or gaining a dependent, getting married, becoming a U.S. citizen, or a permanent move to an area with different health insurance offerings. 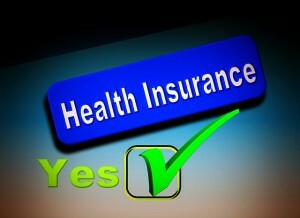 There will be further developments in health care in America, and NeedyMeds will try to keep up-to-date on the details. We at NeedyMeds prefer to remain apolitical—we work in a diverse office with people of varying backgrounds and views—but we believe in being informed and that those in need deserve care. It should be clear that NeedyMeds supports improved access to care as well as lower costs for medications and healthcare services for all. NeedyMeds also encourages Americans to be active in the legislative process: If you have an opinion on the future of the important healthcare issues in the United States, call 202-224-3121 to reach the U.S. Capitol switchboard; from there you can be connected to your elected House Representative or Senator’s office. NeedyMeds will continue to provide information as the need for assistance navigating the often expensive landscape of health care rises. The NeedyMeds website has databases of Patient Assistance Programs (PAPs), Diagnosis-Based Assistance (DBAs), and Free/Low-cost/Sliding-scale Clinics to help those in need. The NeedyMeds Drug Discount Card can save users up to 80% off the cash price of prescription medications for those without insurance or choose to use the card instead of insurance. In addition to the plastic card, the card is available in a printable form or the NeedyMeds Storylines smartphone app for Apple and Android devices. For more help finding information, call our toll-free helpline Monday-Friday 9am-5pm Eastern Time at 1-800-503-6897.